Still waiting for my pantera to arrive, I've been given a date of the 12th April now....so it's been over 7 weeks...I could have driven it over in that time! You will have another week delay with customs when it gets there. Battery will be dead, car dirty as hell and the spare parts will be missing and you will have to sacrifice a fatted cow to pay the taxes. Funny thing is you will still be happy to have the car. lmfao , thats EXACTLY what i was going to say/ happened to me. Its not so bad really. chances are you will be back to buy another one someday. How is it being shipped? What line are you using? I had my car shipped from NY to Le Havre in 1998, it was the promised 10 days from drop-off to pick-up. 5 or 6 years later I had it shipped from Le Havre to Long Beach, CA in the promised 30 days... I've spoken to others with a similar experience, so I'm curious what went wrong? I have also never a problem whit the shipping. I ship a Mustang March 17 from New York and this week I can pick it up on the harbor. Mustang was into a shared container whit other cars and parts. But the inland shipping from Colorado to New York cost me 3 weeks ,problems whit the snow storm. Currently west coast shipping ports are having a back log due to strikes and labor disputes. East coast is not too bad. Strong dollar has slowed exports to Europe and ports are moving along pretty good. shipping from Florida is also more work. 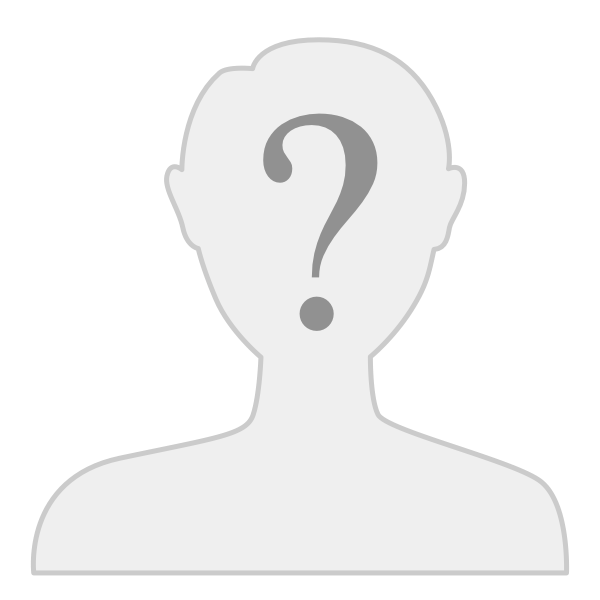 there must be a notarisized clarification from the buyer by the export documents on the harbor that the buyer is a real person. Understand that a notarised clarification is other into the states than into Europe. Hi, where is the car shipping from? I notice that it says Vancouver? Is that Vancouver B.C.? Just wondering what shipping company you are using as I am in vancouver B.C. and may want to ship my Pantera overseas. Yesterday I pick up my car from the harbor. The vessel was arived April 3 as sceduled ,but because it was easter it has some delay whit unloading the containers into the warehouse. 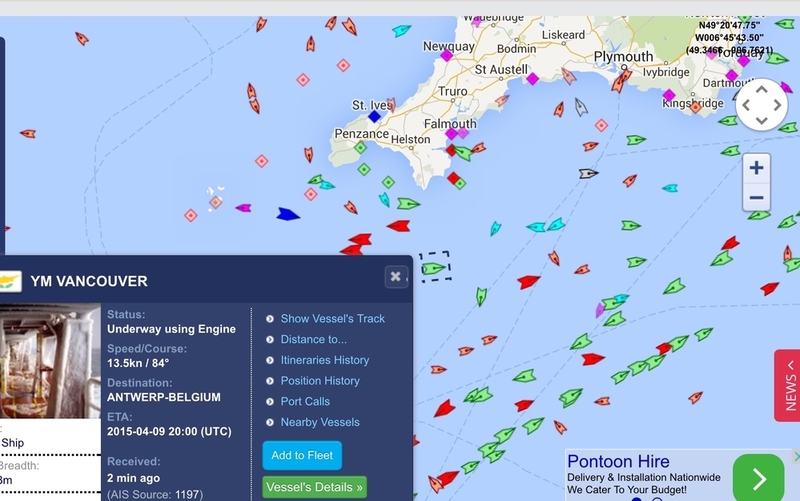 I wouldn't worry too much about it going via Antwerp, a lot of these ships have multiple drop off points. I imported a car from South Africa in 2013 to be shipped Durban to Southampton and thats what it said on the manifest. I got a fright when I also tracked the ship and it had docked already in Rotterdam then was off to Hamburg and never coming to Southampton. A couple of concerned calls from me to the clearing agent followed. However a few days later the car was in customs in Southampton ready for me to collect. Don't ask me how. If it says Felixstowe on the manifest I'm sure the car will be there shortly. another harbor and bring it by train, truck , or a small ship to the harbor of arrival. Who are you using to ship the car over? I am just trying to sort out bringing my car back to the UK from the east coast. I have good experience whit them. Thanks for the quick response I will give them a call. Surprised the Pantera was loaded backwards on the trailer. 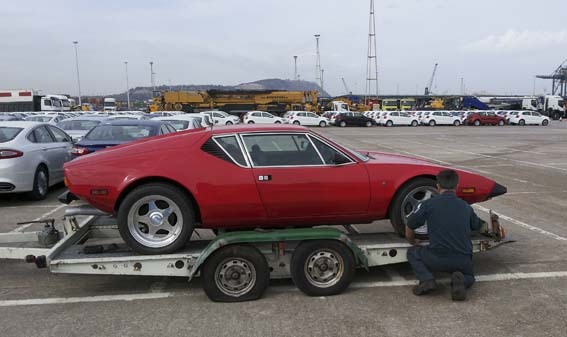 Decades ago, it was found that loading a Pantera on an open trailer backward sometimes resulted in lots of body damage. The jiggling and bouncing (trailers usually have no shocks) tends to release the decklid latch- which aren't the most secure anyway. Then the air blast wraps the deck lid over the top, in one case breaking the windshield as well as warping the top structure where the hinges attach. You got lucky, or drove slow! Sure- the tongue weight is better with mid-engine cars loaded backward but risking body damage isn't worth the tow convenience IMHO. In your picture the car is loaded with the rear end nearest the hitch i.e. "backwards". Ah,yes. Hopefully Oriol didn't have any issues. Oriol congratulations for finally receiving your Pantera. I hope it is understandable that if you had begun a new topic, rather than merging into Pishadeperro's topic, confusion could have been avoided. No big deal, but something for your consideration in the future.